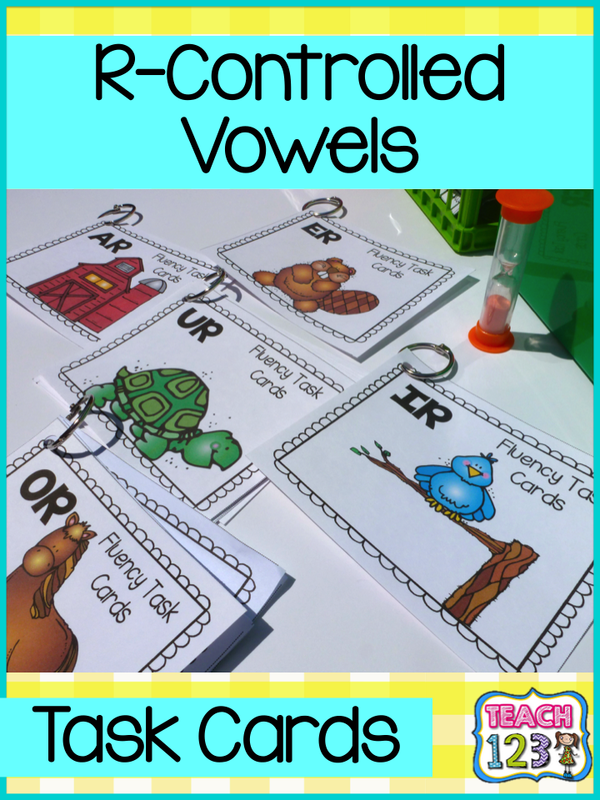 Fluency is one of those skills that can be easily overlooked because we spend so much time teaching phonics and phonemic awareness in the primary grades. It wasn’t until I sat in a P.D. – yes there are helpful professional development meetings – that I finally understood the long lasting impact fluency instruction had our students. Read the post above to find out more about this. After I sat through that PD, I went “back to the drawing board” or so to speak. 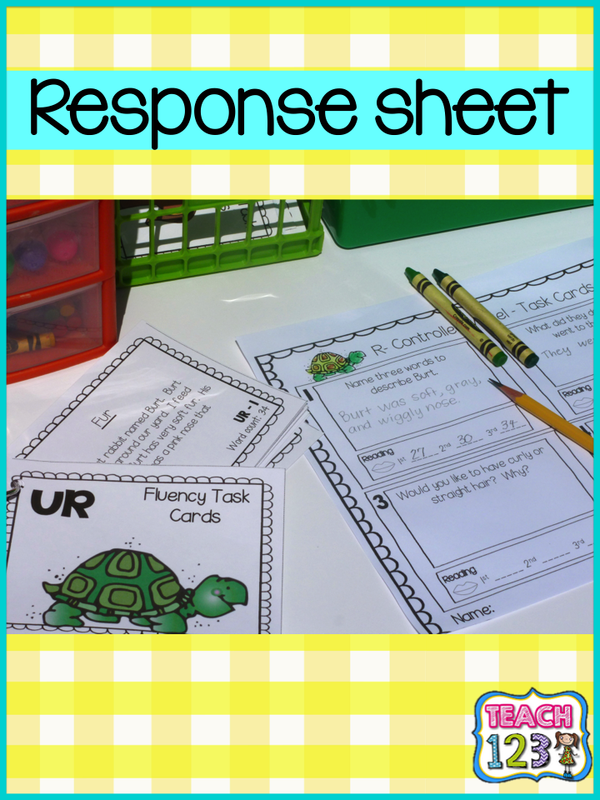 I didn’t have any more time in my schedule, but I knew I wanted my students to do more fluency strengthening activities. I needed to find lessons and activities that they could do individually, with a partner, as a center, or with a small group. My answer was my Sentence Shuffle Centers. I have begun a new series of fluency task cards. They are quick and easy prep. Two quick cuts and you have 4 task cards. 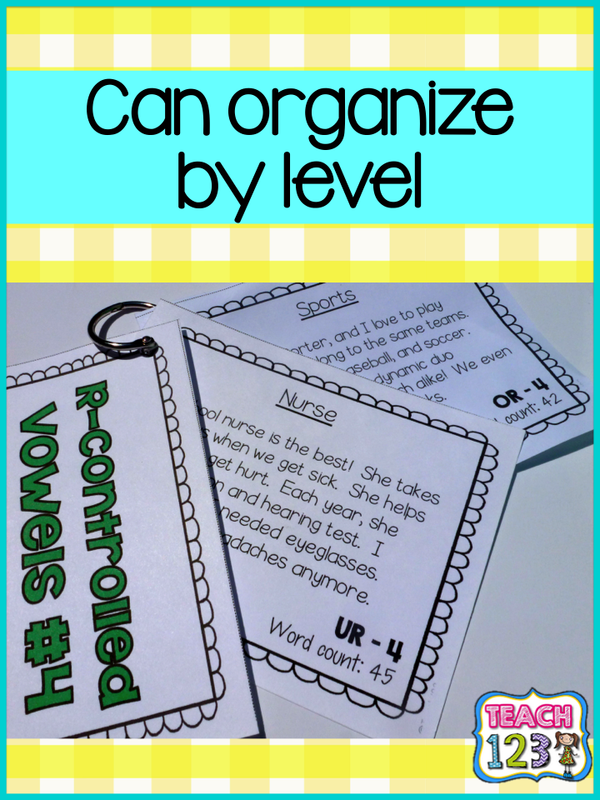 You can organize these by either the R-controlled vowel or by level. 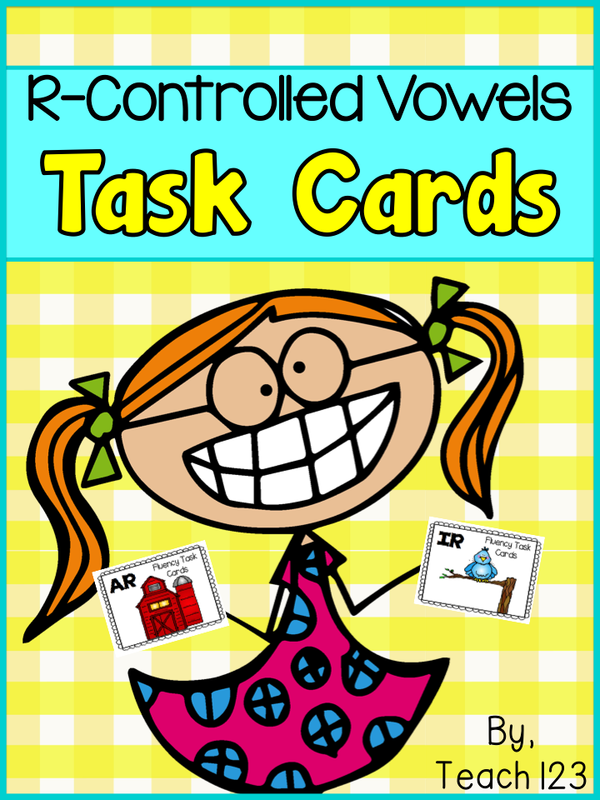 There are 8 task cards for each R-controlled vowel. Level 1 is the easiest reading level and level 8 is the hardest reading level. Each task gives the word count. 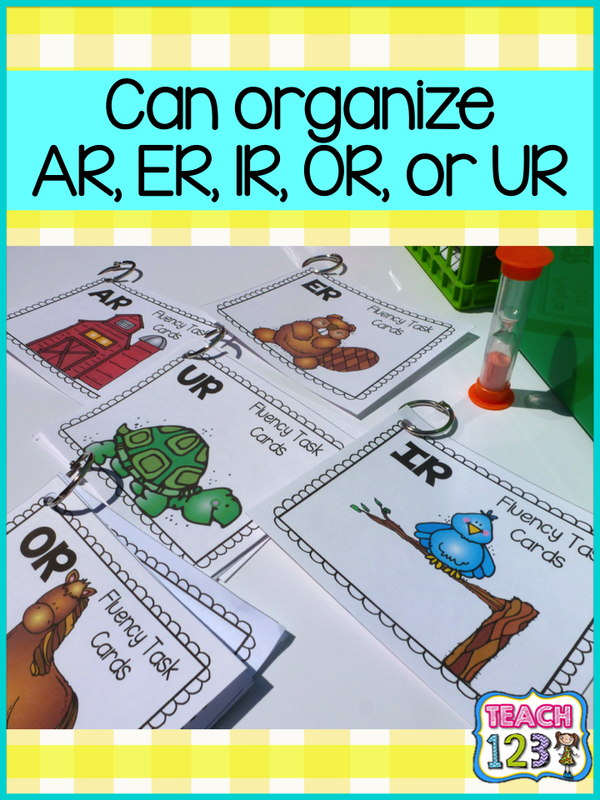 You can also organize the cards by AR, ER, IR, OR, or UR. There are covers included if you want to clip or bind them together. You can set this up as a partner activity. Give the partners one card or a ring of cards. 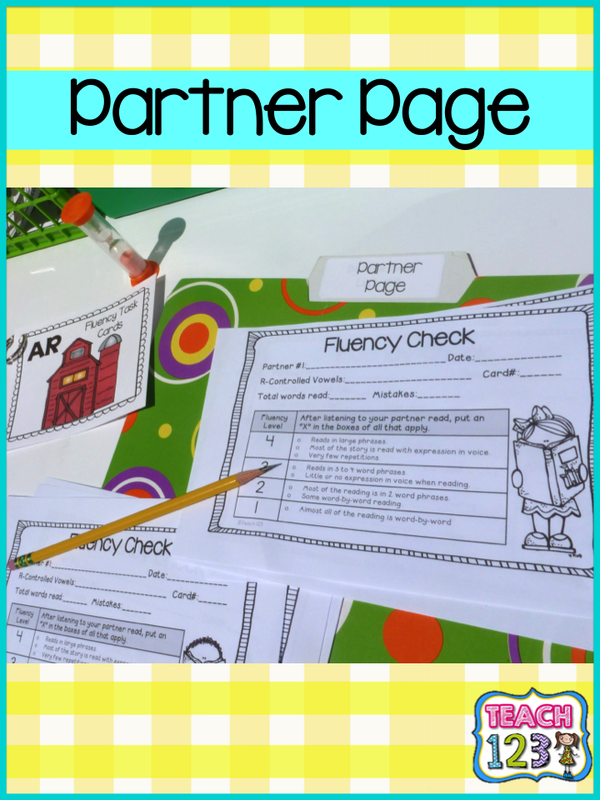 There is a fluency check form that the partners fill out to rate their partner’s reading. It is a quick and easy form! Timer – I like to use the ones from Oriental Trading. They are $6 per dozen. 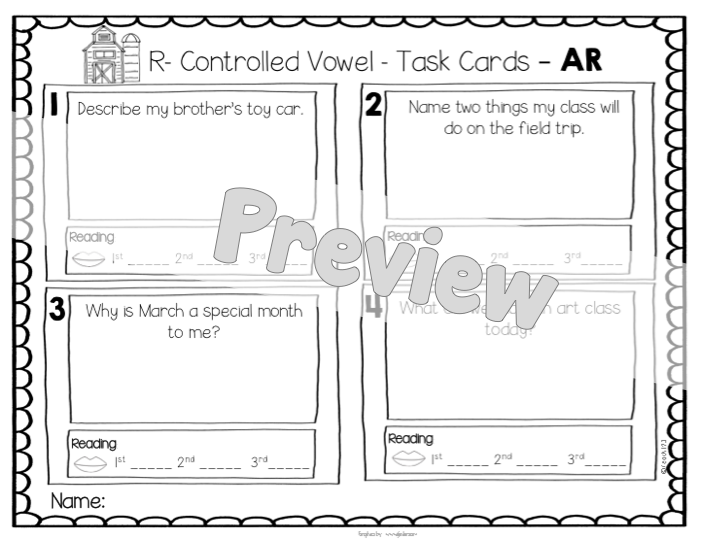 Here is a closer look at the worksheet in the picture. 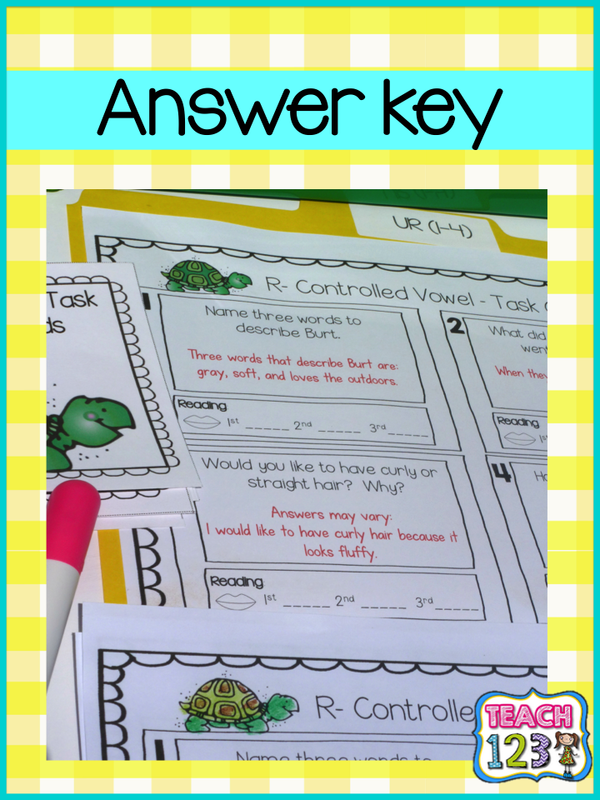 The answer key is included so you can make this a self-checking center. 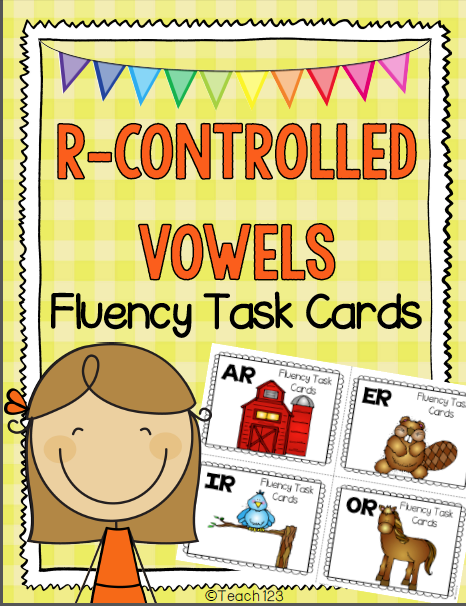 After you have introduced all of the R-controlled vowels, you can set this up as a review center. 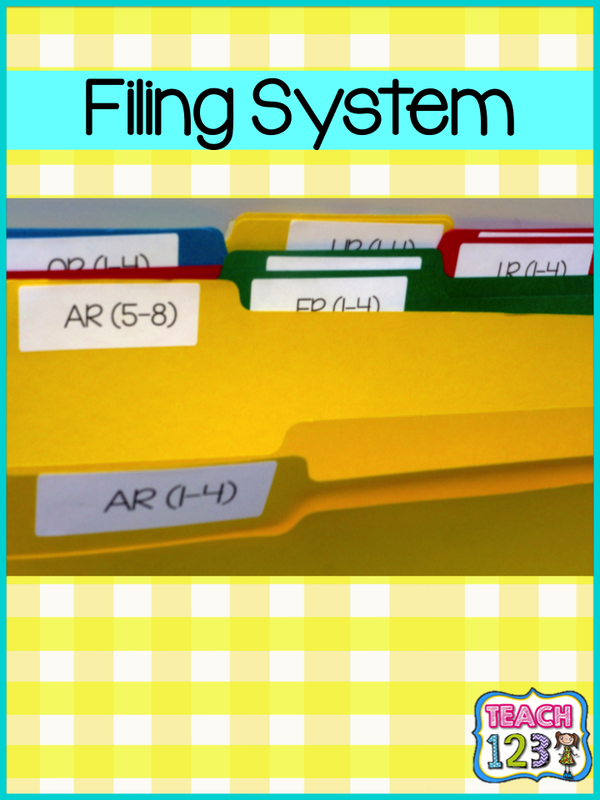 You can organize the response sheets in files like the ones in the picture above. Click HERE to download the label file. Click HERE if you’d like to purchase this file. 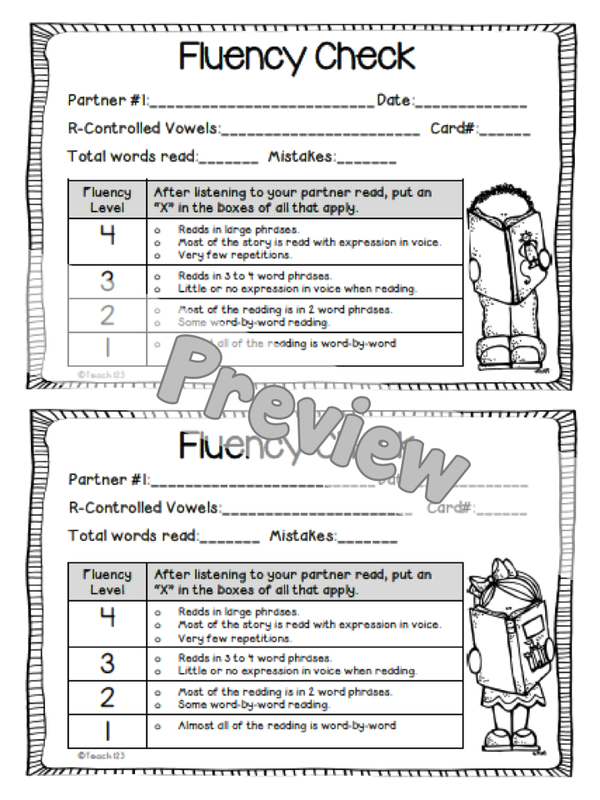 I have other fluency task card packets. Click below if you’d like to check them out. Can you send me a screenshot showing the "thugs owner trashed the file"? I have never heard of that before. My email is teach123.school@gmail.com. I checked the links. There is one file that you need a gmail account in order to have access to it. All of the other links go to TPT and are working correctly.